I had the honor of working on the North Jersey Quilt Guild’s charity quilt for the Austin Children’s Shelter. 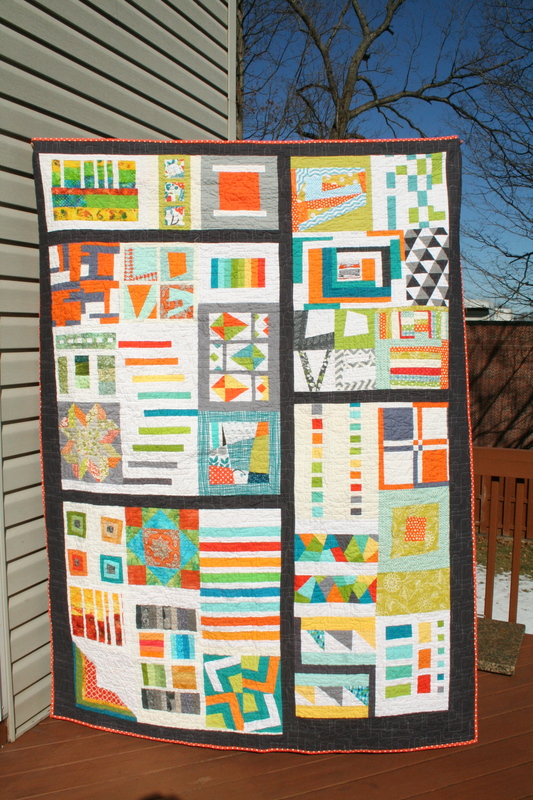 The Modern Quilt Guild held a call for blocks in the Quiltcon colors, and they received so many that they divided them up and sent seven to each chapter to make into a charity quilt. The story of ours is here, here and here.